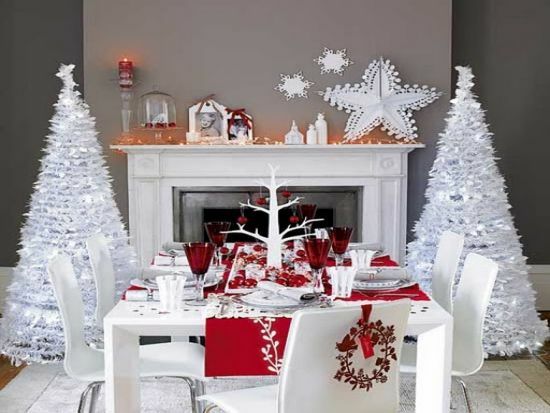 Christmas is all set to embrace us with the festive spirit we all await the whole year round. 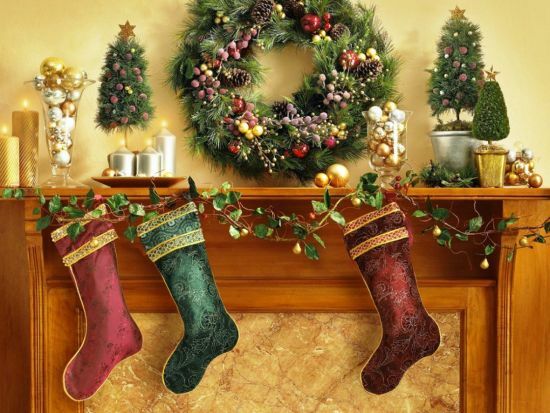 The festival calls in for a whole lot of fun, food and festivity. 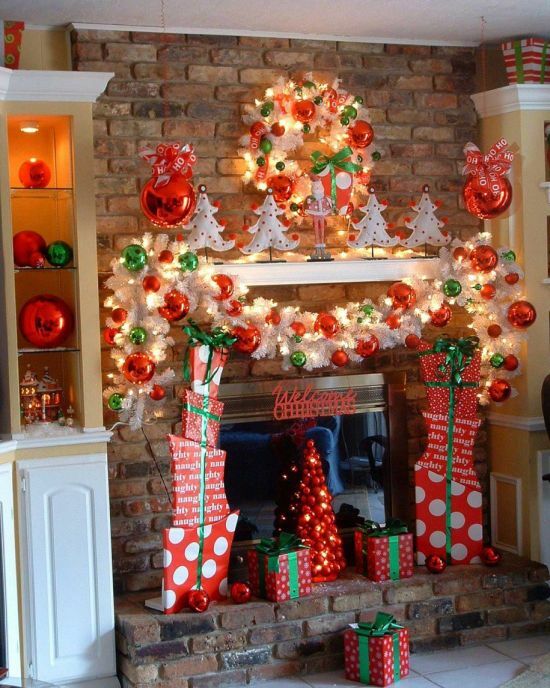 Indeed the best part of the season, Christmas is also the time to decorate your house and make it more merrier to set the mood for Christmas. 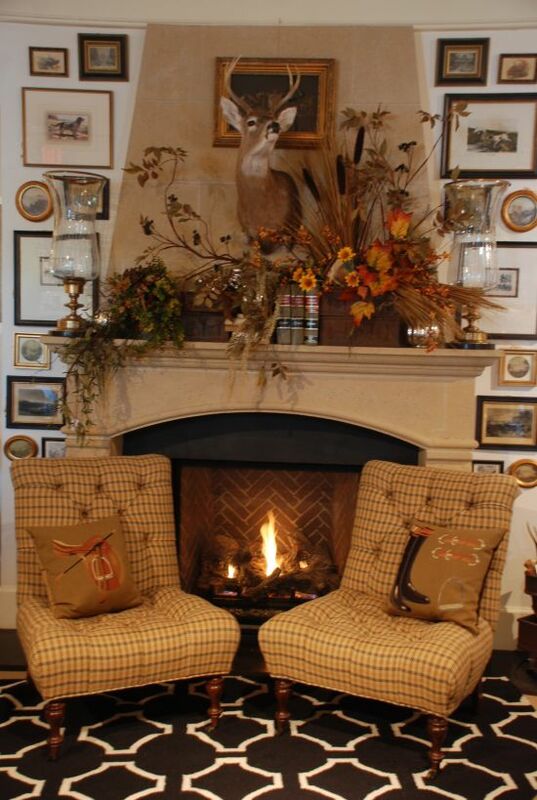 Whether your taste is formal or casual, minimalist or exuberant, the fireplace is always the focal point of your room. 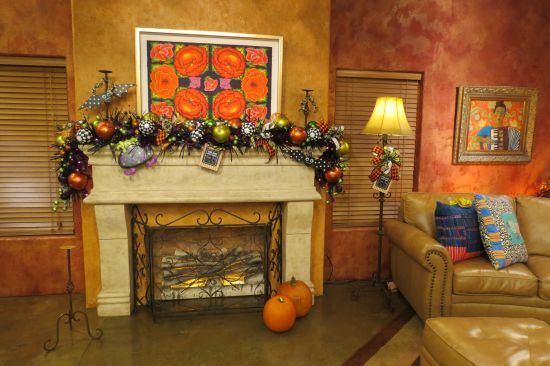 It is the spot where you can showcase your distinctive style. 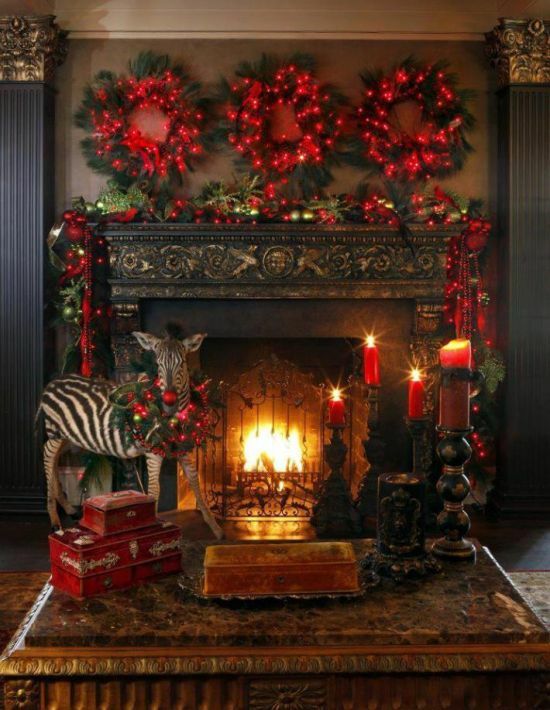 So steal some ideas for your Christmas mantel decorations to add some seasonal flourish to your home décor in the most beautiful way. 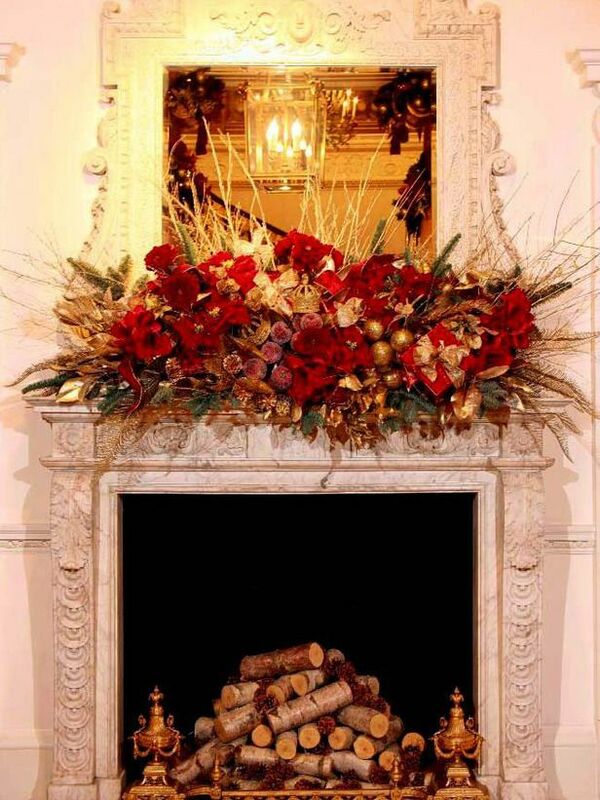 Let your imagination soar and use seasonal flowers to bring in the natural beauty to your Christmas mantel. 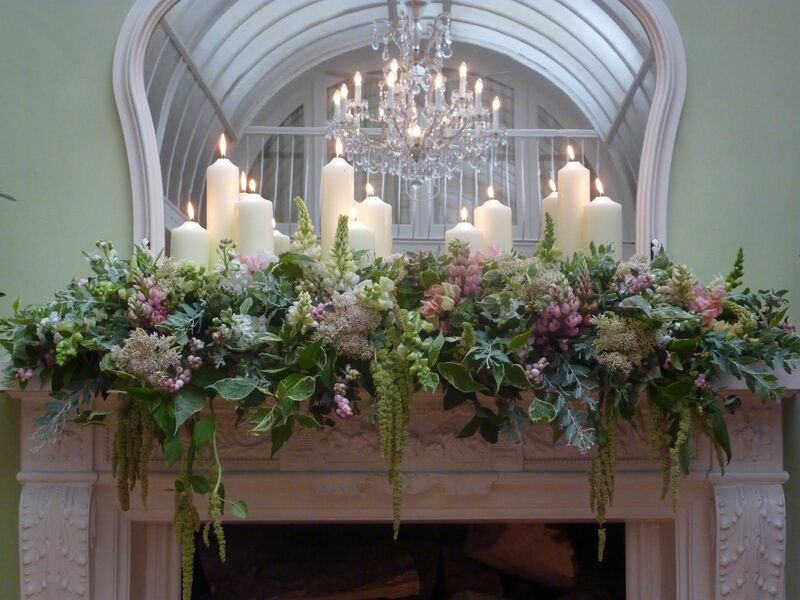 Flowers have always been the traditional choice for Christmas mantel decorations and you can choose from a whole range of seasonal flowers to adorn that much important place. 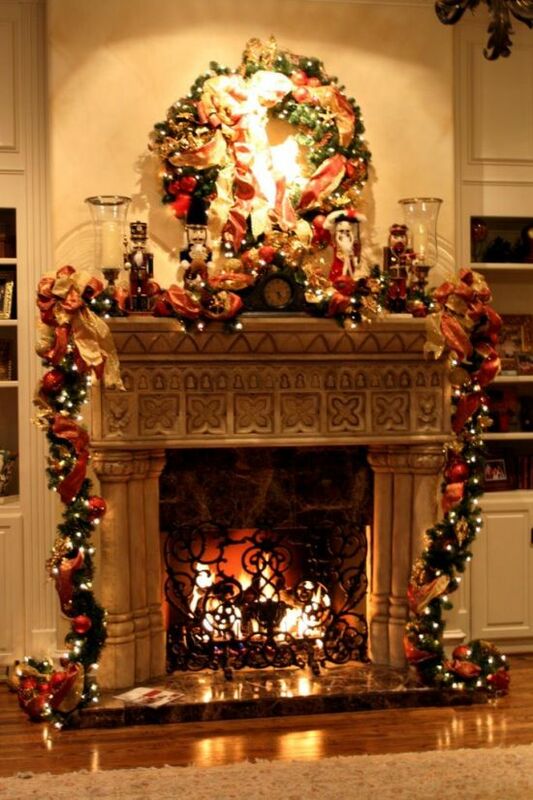 A Christmas mantel garland can add wonders to the fireplace. 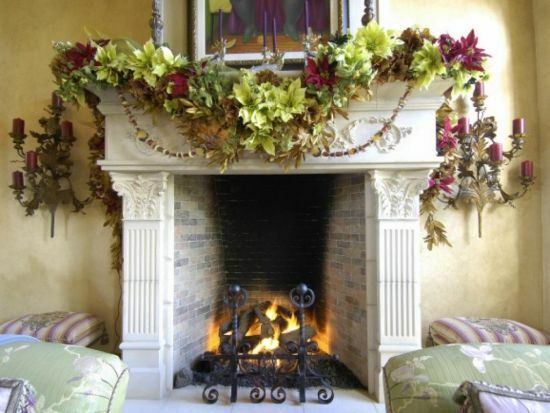 You can use real as well as artificial floral decorations to zing up your mantelpiece. Check below for more such vivid flower decoration ideas for your mantelpiece. 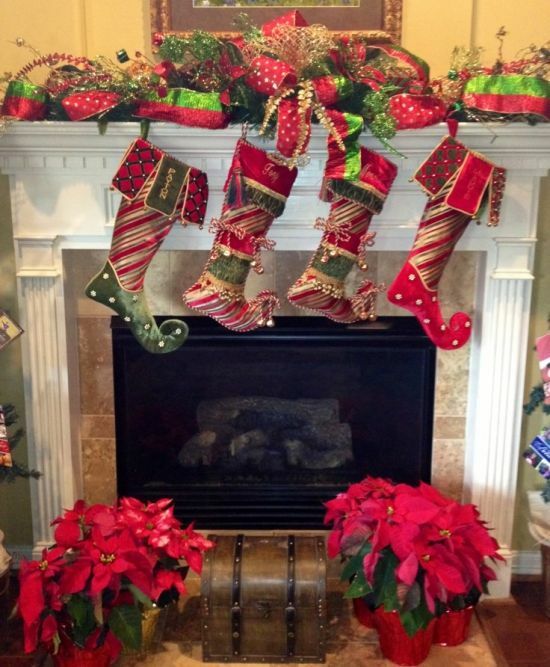 Incorporate the fun element to your mantel Christmas décor by adorning the space with colorful stockings. 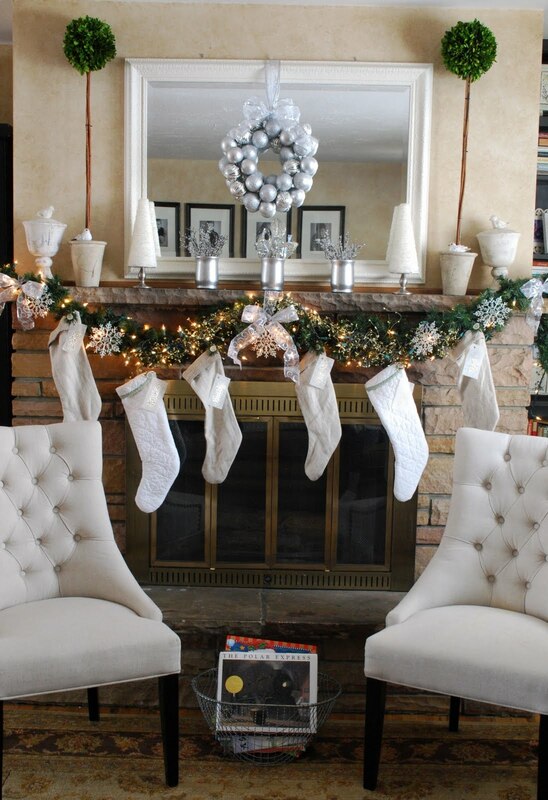 Hang long and furry stockings to add a whimsical feel to your Christmas mantel decorations. 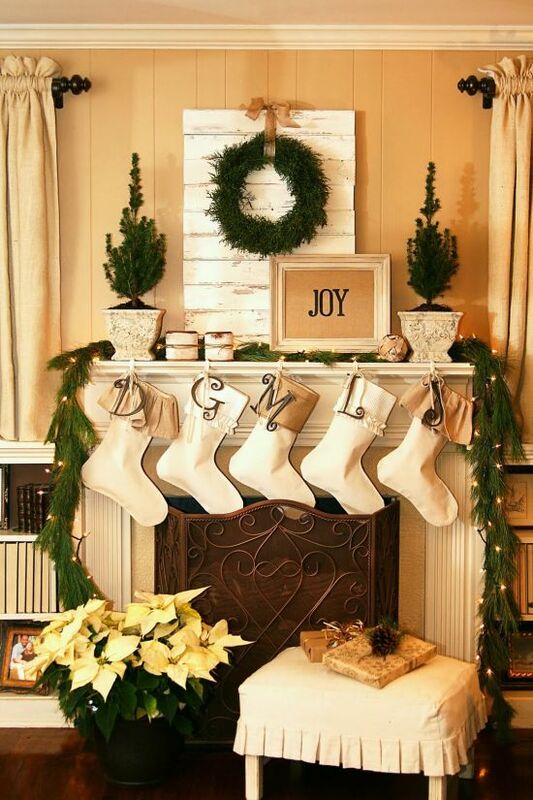 You can play with a variety of textures and sizes while you select stockings for your mantel Christmas décor. Here are some more mantel decorating ideas using stockings. Classic and simple Christmas decorations in stunning white tones can make your mantel display look absolutely chic and festive. 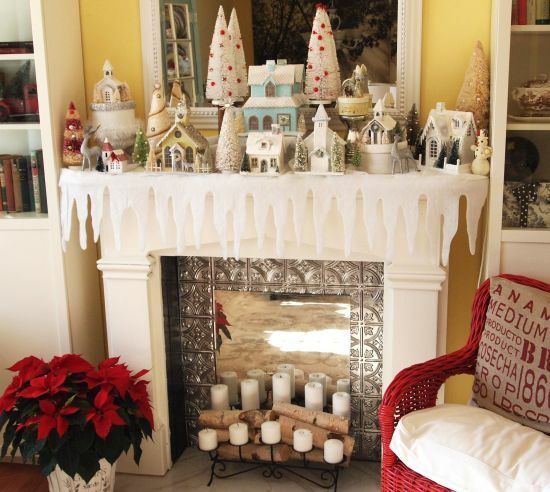 White is the color of the snowy winters and synonymous with Christmas too. 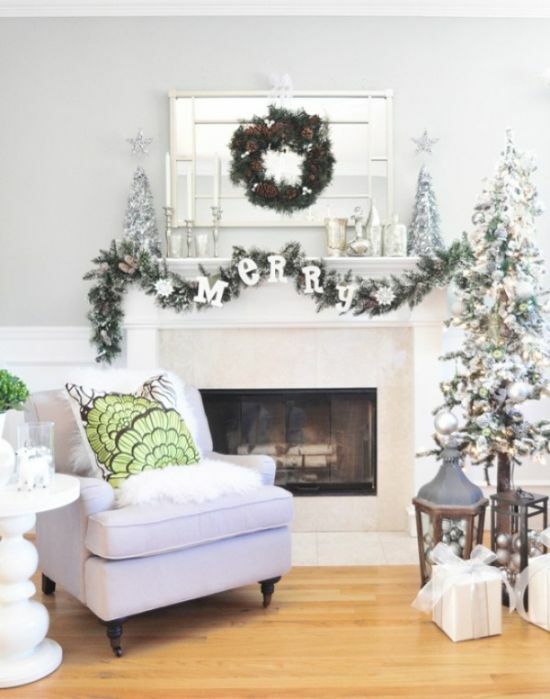 So decorate your Christmas mantel with sparkly white faux snowflakes and a string of white lights, white stockings and a range of white decorative elements such as miniature white reindeers, candles and shiny balls. Here are some more white mantel decorations for Christmas. 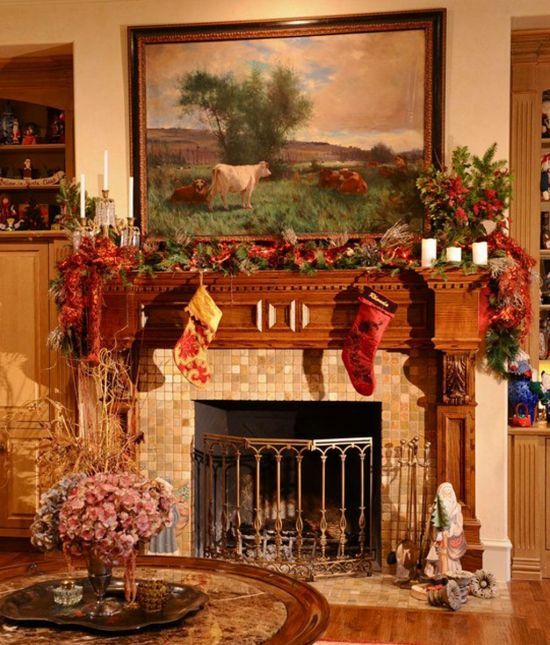 Go unconventional and opt for a rustic look for your mantel. 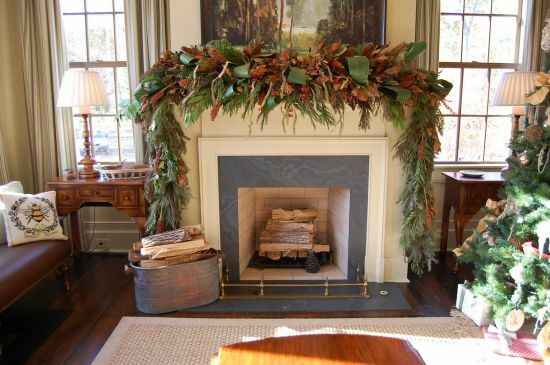 Opt for a minimalistic look by giving way to a whole lot of natural rustic elements. 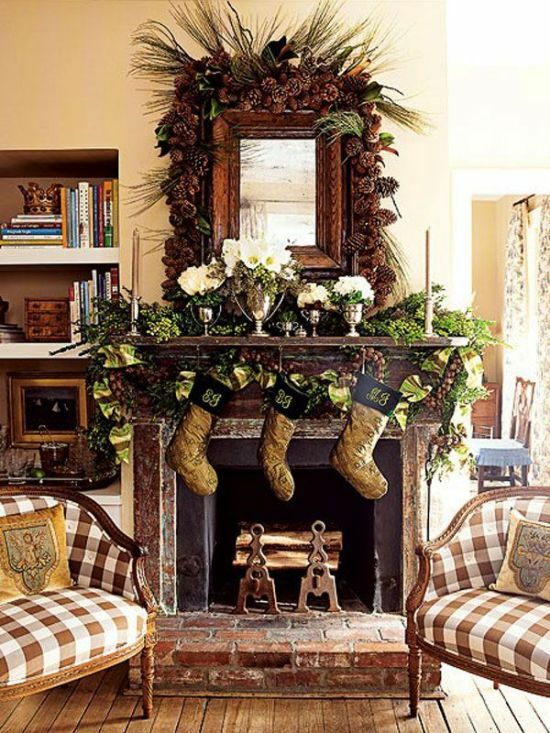 From pinecones to burlap stockings and wooden photo frames to brass lanterns all can add up to the strength and splendor of your rustic mantel Christmas décor. 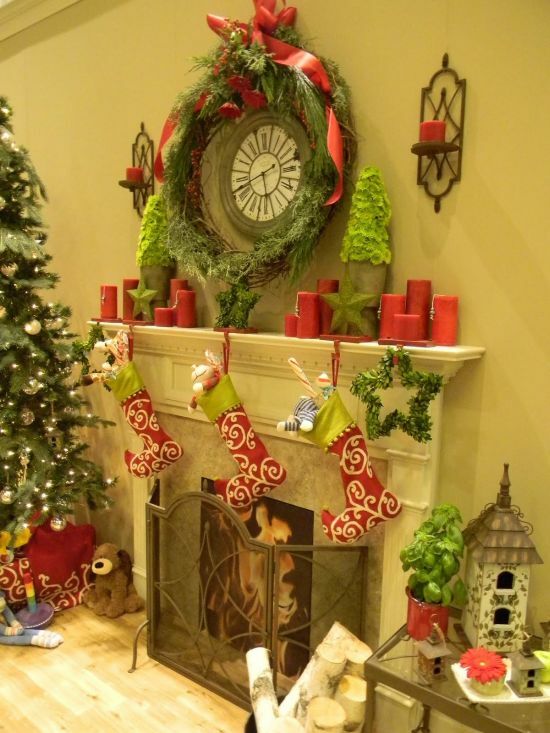 Look down for more rustic Christmas mantel decorations that you can try out to give a one of a kind look and feel to your mantelpiece. Silver and gold are two metallic colors that give a sophisticated twist to the traditional mantel Christmas décor. 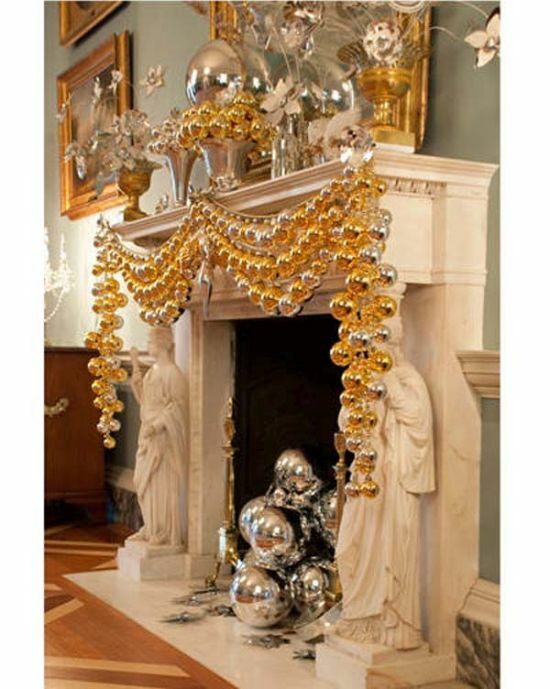 Allow your creativity to take over by making use of gold and silver colored ribbons, balls, candelabras, lanterns and other decorative elements that can add an aura of magnificence to your Christmas mantel. 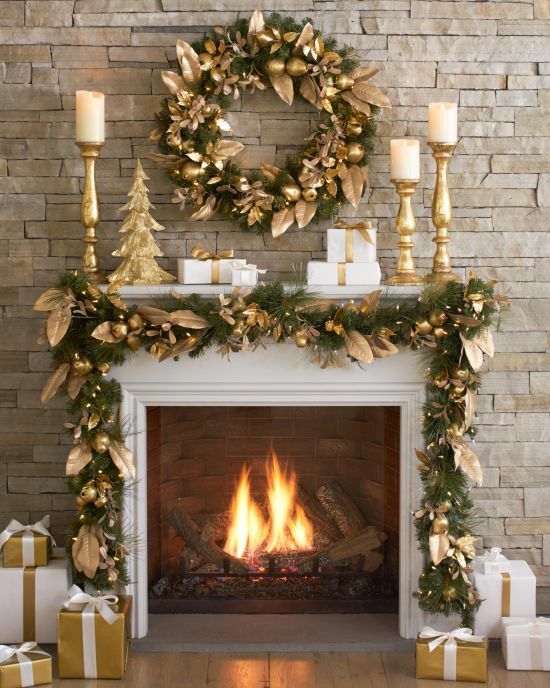 Faux golden and silver leaves can also be used to bring in a magical touch to the space. 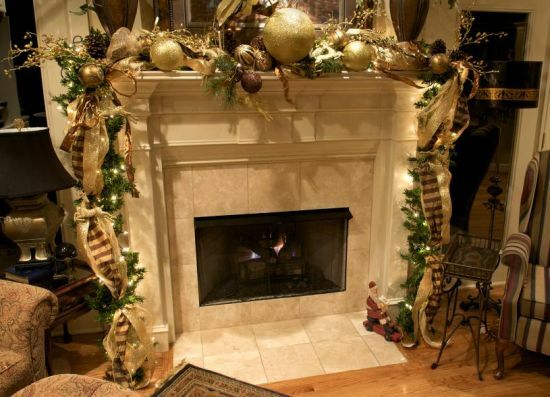 Here are more such Christmas mantel ideas using gold and silver colors. 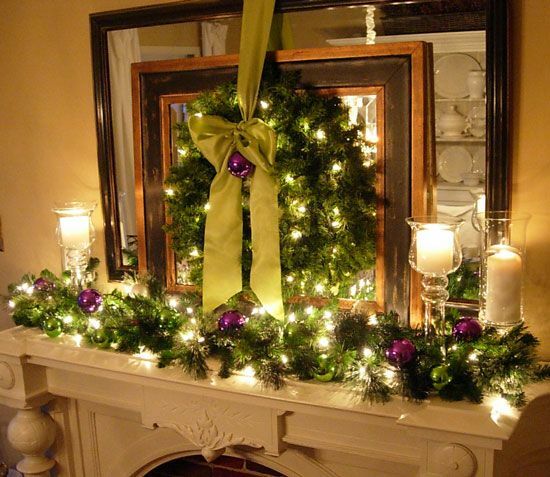 A simple Christmas mantel display in traditional green hue instantly adds the festive spirit to the room. 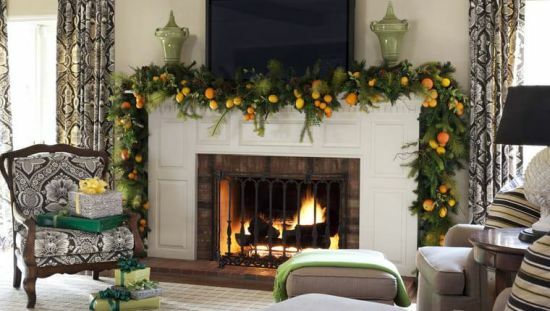 The right mix of fresh and faux green foliage like cedar garland and store bought green wreath can excellently pull the entire look together of a green themed Christmas mantel. 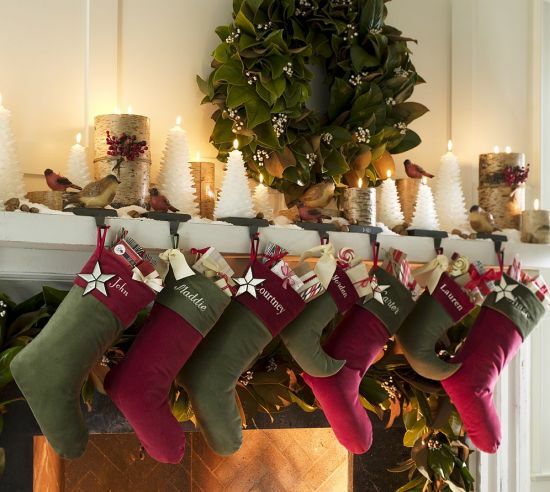 Green stockings and other glittery elements can give an aesthetic charm to the Christmas mantel decorations. 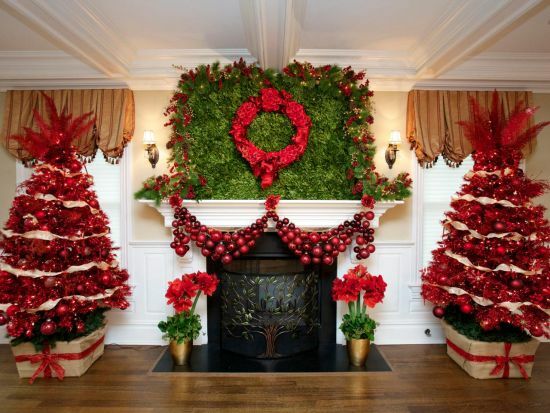 Here are more such green mantel decorating ideas. 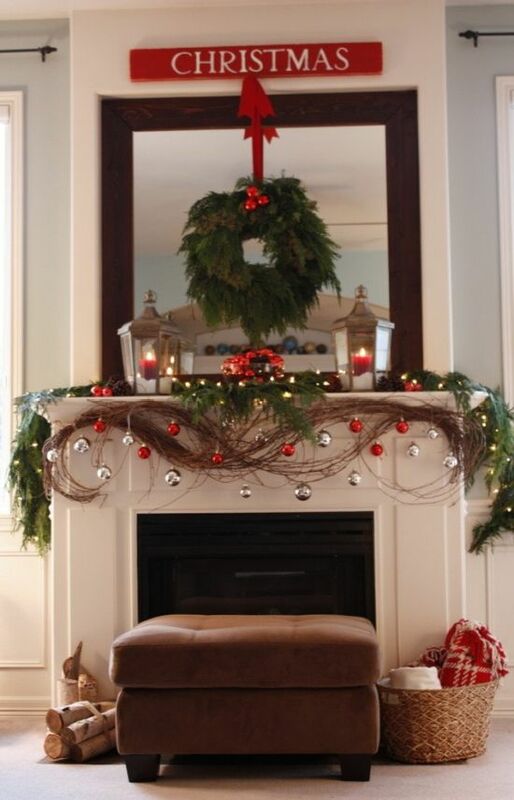 A blend of red decorating accessories can give a celebratory face-lift when nestled on your mantel. 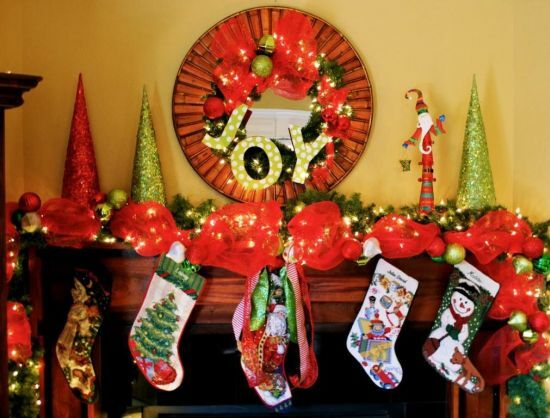 Candlesticks, frames, stockings, wreaths, ribbons, balls, etc in red tones if naturally bunched up along your mantelpiece can fashion a lovely Christmas mantel all set to welcome your guests with a festive spirit. 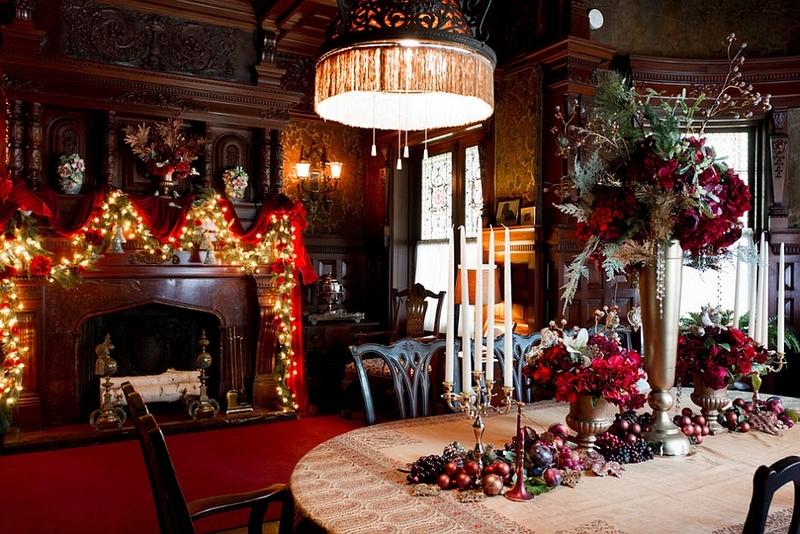 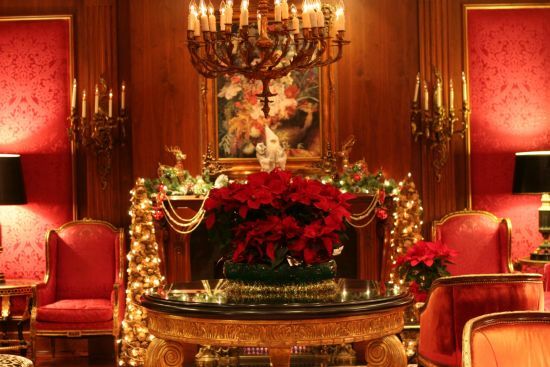 Lights can be an integral part of your mantel Christmas décor. 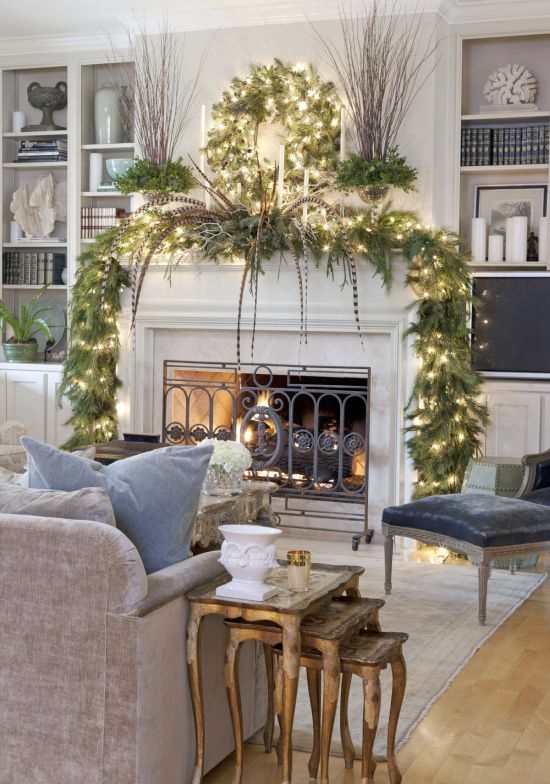 You can work out with lights in a number of creative ways and sparkle up your mantel in the most attractive way. 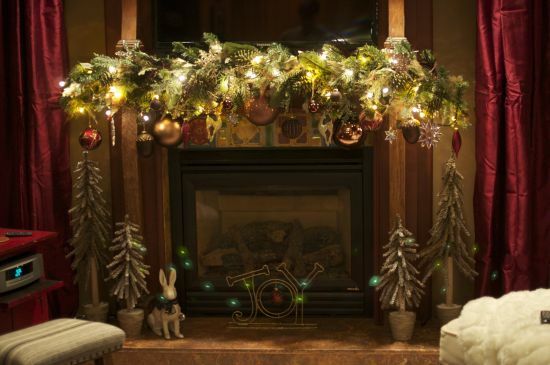 Use strings of lights or dot your flower and leaf wreaths with them to come up with some awesome decorations. 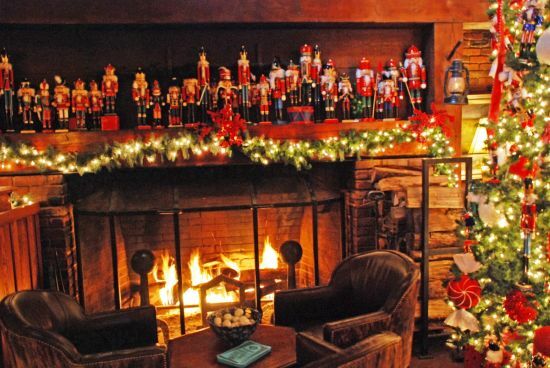 Christmas lights come in a variety of shapes and sizes and so you have a lot of options to choose from. 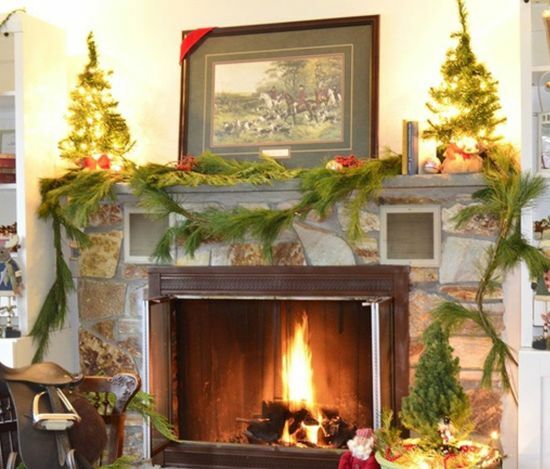 Play with different colors of lights and see the magic come alive on your mantel. 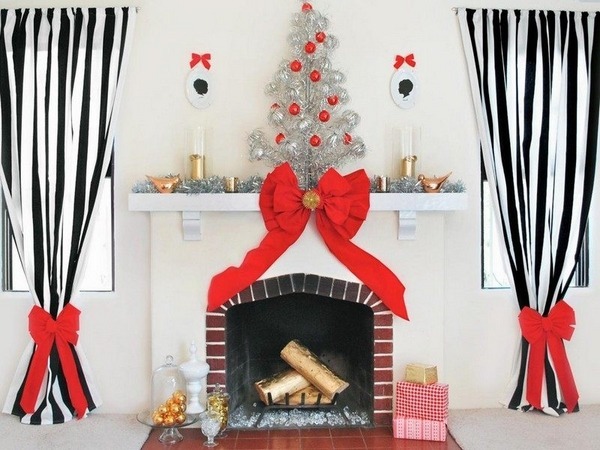 So with these creative Christmas mantel decorations you can now start prepping up for your lovely mantel decoration. 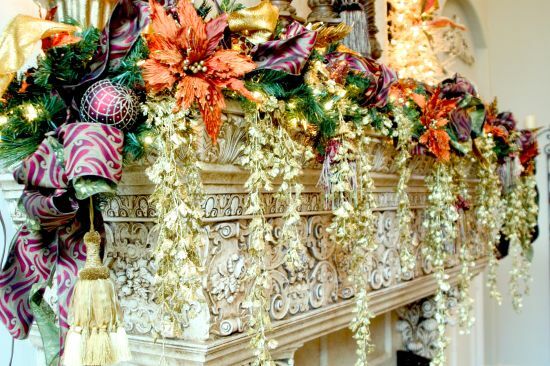 Use your expertise to make the most of these marvelous ideas and have a gorgeous display in your house that is sure to catch the eye of every visitor. 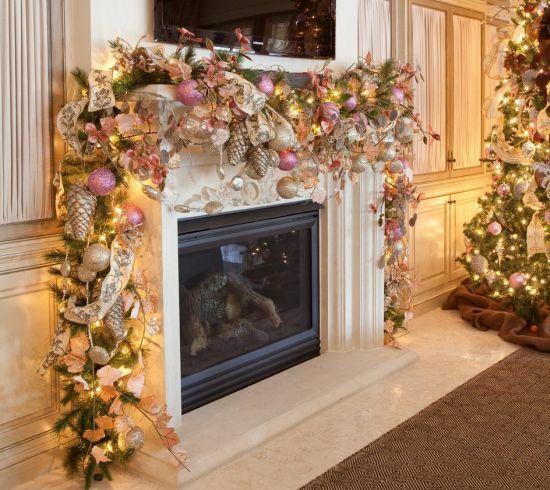 These ideas from our catalog are really innovative and you can try these to come up with the perfect way to enhance your fireplace décor this Christmas.